Glaucoma is an incurable eye disease that damages the optic nerve within the eye. 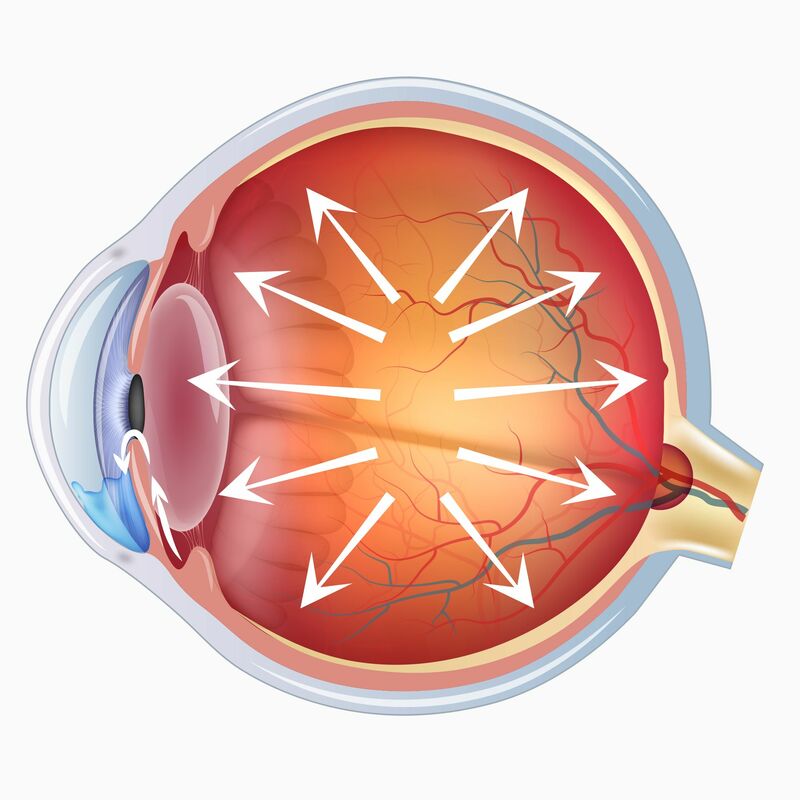 When the natural fluids in our eyes cannot drain properly, the eyes’ intraocular pressure (IOP) increases, harming the optic nerve over time. The condition is the leading cause of blindness across the globe and can affect patients of all ages. There are different types of glaucoma, which our doctors can diagnose and treat at our Bakersfield, CA office. The two primary types of glaucoma are open-angle and angle-closure. Within these two main types, there are also variations. To get an accurate glaucoma diagnosis, you need to schedule a comprehensive eye exam with one of our doctors. Open-angle glaucoma is the most common type of glaucoma. It accounts for nearly 90 percent of all glaucoma cases and affects nearly three million Americans. This type of glaucoma is referred to as “open-angle” because the spot where the iris and cornea meet is of a normal width or angle. This form of glaucoma is the result of clogged drainage canals in the eye, which increases IOP. The clogging happens slowly over time, so the effects are not immediately apparent. Variations of open-angle glaucoma include the following. Primary Open-angle Glaucoma: This form of glaucoma reduces the peripheral vision without causing other symptoms. It can progress into tunnel vision and total vision loss without treatment. Normal-tension Glaucoma: Unlike other forms of glaucoma, with normal-tension glaucoma (NTG), your eye’s IOP remains normal. When combined with a lack of symptoms, this makes diagnosis all the more difficult. Pigmentary Glaucoma: This type of open-angle glaucoma is caused by a piece of pigment of the iris clogging the drainage canals. Secondary Glaucoma: This form of glaucoma can develop in conjunction with an eye infection, lens enlargement from a cataract, a tumor, or inflammation. Congenital Glaucoma: This form of glaucoma is present at birth and is typically diagnosed by age one. It is more common in boys than girls and is the result of a defect in the eye’s drainage system. Also known as angle-closure glaucoma or acute glaucoma, this type is less common than open-angle. This form of the disease results from a narrow or closed angle where the iris and cornea meet. The onset is much faster than open-angle glaucoma and causes noticeable symptoms and visible damage quickly. If you notice a sudden onset of blurred vision, severe eye pain, halos around lights (especially at night), in conjunction with nausea and vomiting, you need to seek immediate medical attention. If you wait, it could result in permanent vision loss. The best way to treat glaucoma is to test for it regularly. After you reach age 40, regular eye exams are crucial to detecting and treating eye diseases early to prevent vision loss. The primary goal of glaucoma treatment is to regulate your eye’s IOP. There are a variety of different medications and eye drops available to aid in this goal. If you are past due for an eye exam, we urge you to schedule your next appointment today.